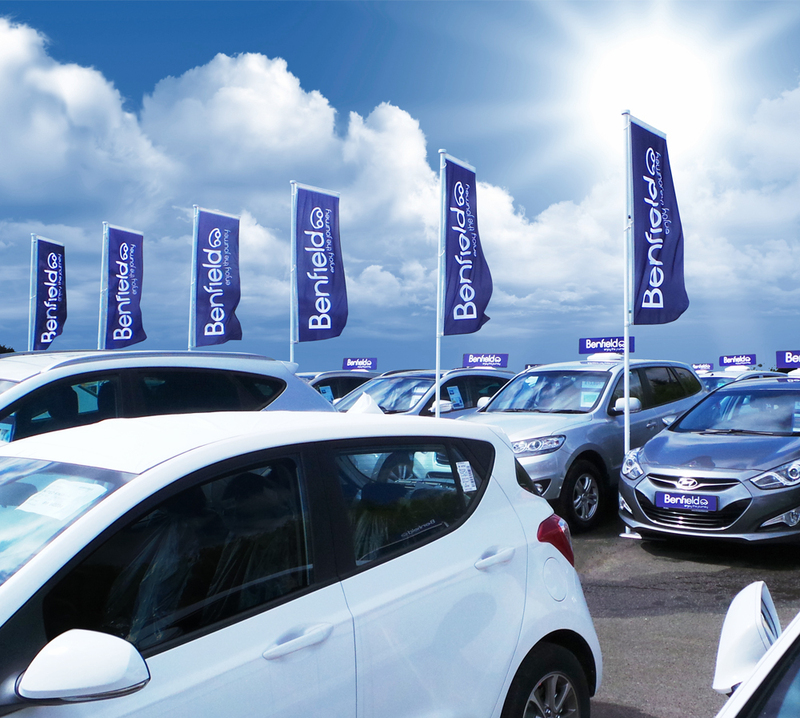 Once inside your showrooms, your promotional materials should be guiding footfall over to your vehicles for sale. 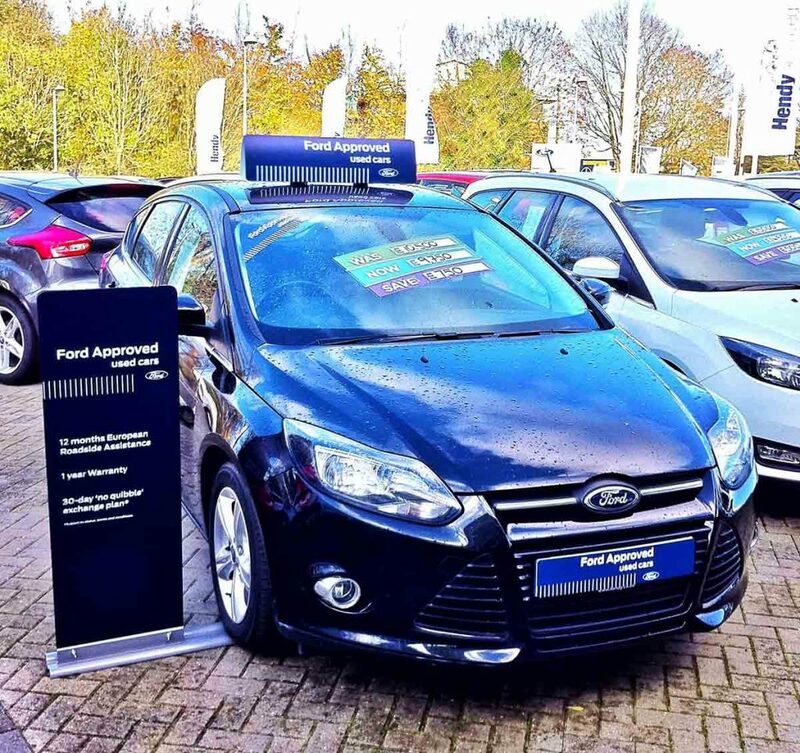 In this article, we take a quick look at the latest forecourt and showroom materials. To help you achieve all the above and more. 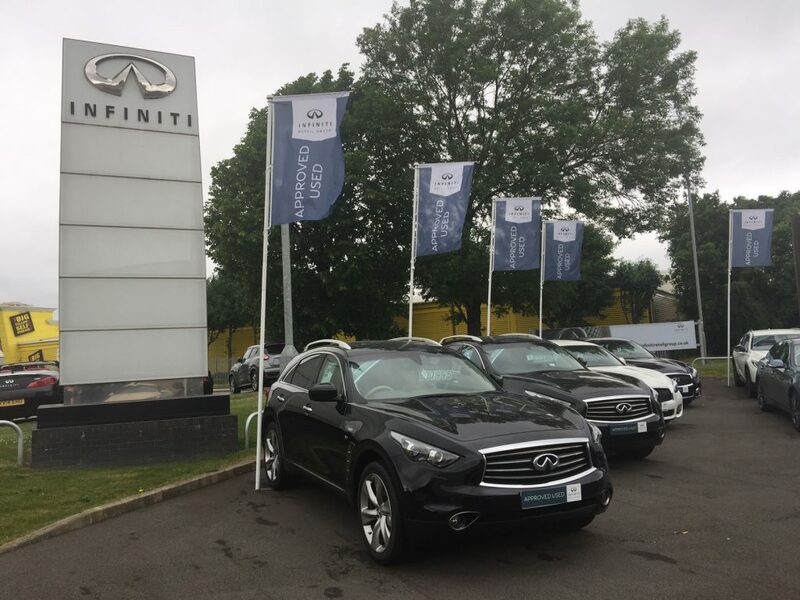 The car forecourt, is a place where your advertising materials are regularly faced with harsh weather conditions. 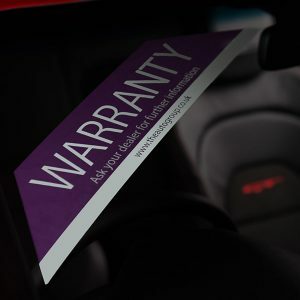 Now more than ever, your forecourt advertising products need to be made from longer lasting materials, to help maintain your professional identity. It’s the minimum your customers are going to expect from you. To help with this problem dealers regularly face, we’ve designed some new options. 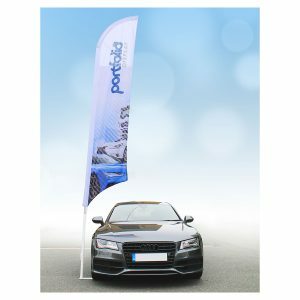 The mobile benefit of a portable flag pole comes at a cost – as they’re usually not very robust over longer periods of time. These poles have been designed for durability – made from tough aluminium to ensure they last. 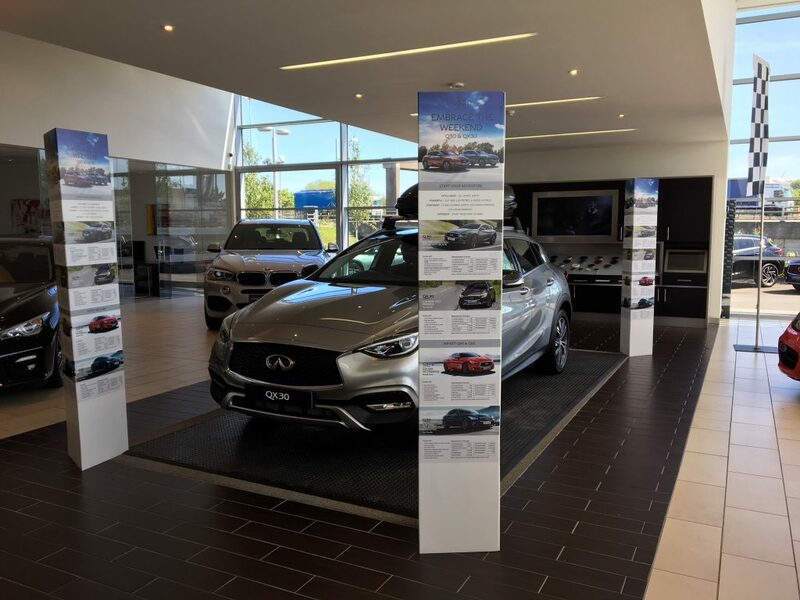 Standing over 5m tall, this system will also attract attention for your dealerships. Let’s face it – those printed flags don’t last long as they quickly end up tearing, shredding and fading. It’s not only the expense of replacing them that’s the problem. It’s the time it takes to order, unpack and hang your flags, which is also a pain. Long-life flags are finished with no sewing or hems around the edges (so you can forget about them shredding over short periods of time). Manufactured from a stronger weave, you’ll get a longer life (and less hassle). Last year we introduced the Magic-Cling windscreen sashes. This year, we’ve gone one step further – with Premium Magic-Cling, which can be used multiple times. With Premium Magic-Cling you’ll find they last longer – with no creases or crinkles when applied (for an improved, professional identity). From your forecourt gates right up to the sales desk, your showroom branding should be professional – and each material on display should reinforce your corporate branding and image. Putting on an event used to demand expensive materials that were difficult to dispose of. Now, there’s our line-up of showroom event POS designed to eradicate these issues. Requiring no installation teams (and designed to fit in with your corporate guidelines), this range has provided clients looking for an affordable, practical solution for their showroom events (while holding firmly onto their professional identity). We hope you have enjoyed reading our latest article, on what is new for the forecourt and showroom. We’ve just picked up your comment on our Blog, your details have been passed to our team to contact you today.